In her second year as a Wildcat, Moyle has excelled at the catching position, as well as offensively at the plate. Up next, Moyle and the Wildcats will host Simon Fraser University on April 6. With an 19-11 start to 2019, the Wildcats have gotten out to a nice start on the season. Behind the team’s early success has been sophomore catcher Theresa Moyle. In 22 games played and 17 games started, Moyle has helped ignite a spark for the Wildcats on the year. Moyle has played an integral role on the Wildcat’s offense, boasting a team-high batting average of .444 and a team-high slugging percentage of .981 to go along with a seven home runs and 25 runs batted in. Head coach Michael Larabee had high praise for his second year catcher. Larabee said Moyle has proved to be an elite weapon for the Wildcats nonetheless, despite having to endure a multitude of injuries over the course of the season which has limited her play on the field. With her production over the year, Larabee said she doesn’t see the end in sight for Moyle’s rate of improvement and, if anything, she believes that Moyle is only getting started. Moyle first began developing a love for the game of softball when she was younger. At the time, she played soccer, but Moyle remembers growing up and watching her father play baseball. For one of her birthdays, Moyle’s father gave her his championship baseball t-shirt. This moment and introduction to the sport gave Moyle a reason to pursue the game she still plays today. Moyle attended Weiser High School in Weiser, Idaho, where she played softball her freshman and sophomore years, and then baseball her junior and senior years. For Moyle, the adjustment process from softball to baseball didn’t happen without its difficulties. Moyle had to learn how to play with a different sized ball and with the guys. The game of baseball forced her to become tougher and grow in ways that only playing softball couldn’t. 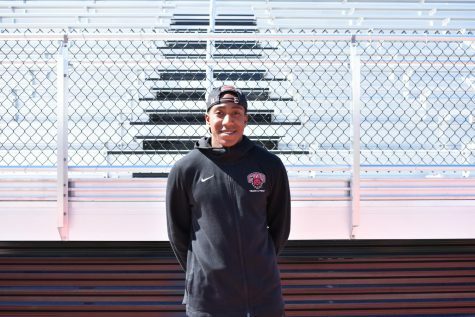 With her college days in sight, CWU was an easy choice for Moyle because of the campus itself, the welcoming softball culture and the family friendly environment that Ellensburg and its community had to offer. Now in her second year with the Wildcats, Moyle has made great strides in her abilities as a softball player. Moyle expressed that she struggled with self-confidence during her freshman year on the team, but that this aspect of her game has been a huge difference maker in how she has been able to perform this season. “This year, no matter if I make a mistake or strike out, I know that my team is there to pick me up,” Moyle said. Senior outfielder Rachael Johnson said that Moyle has been a great for the Wildcats on the season, both as a player and has a teammate, and has shown great leadership qualities and poise along the way. Johnson described Moyle as someone that starts the fire for the Wildcats and is a teammate that consistently maintains a high level of energy for everybody around her to feed off of. “A lot of our girls look up to her and she’s a great teammate all the way around,” Johnson said. Johnson added that beyond her abilities as an athlete, Moyle is just as great off the field. Johnson said that because of this, her presence on the field positively impacts the game and the teammates around her. 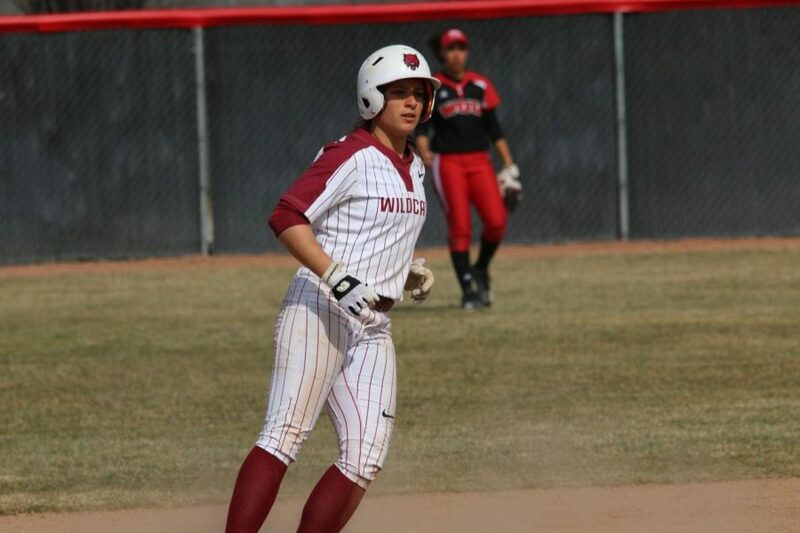 Moyle credits her overall success to the culture of the softball program and her teammates who have supported her since she first arrived at CWU. Moyle noted that having teammates like Johnson, senior catcher Kayla Ellis, junior outfielder Paige Liikala and junior third baseman Savannah Egbert has helped her transition into a program that is now giving her a chance to reach her full potential in the near future. With two more years to go, Moyle hopes that she can keep on going and can’t wait for what lies ahead.